We’re seeing more and more budget smartphones with taller, 18:9 displays on the local market, and it’s likely that Vivo will release its own entry into the category soon. The Vivo Y71 — possibly the direct sequel to the P10,990 (around $211) Vivo Y69 — has stopped over at China’s TENAA certification site. This indicates we’re probably only weeks away from seeing the phone arrive in stores. It has been speculated that the Y71 will launch in its native Chinese market next month, on April 5, for ¥1,098 (P9,112 or $175). Which is interesting, because Vivo’s alleged retail pricing suggests the possibility of the device landing cheaper than its predecessor and under P10,000 ($192) in the Philippines. That would put Vivo Y71 in direct competition with the OPPO A83 and Huawei Nova 2 Lite, which are both equipped with 18:9 displays. Only time will tell if we’re right. As for the hardware, the TENAA listing reveals the handset resembles the Vivo V7 (the one seen in the main image) minus the fingerprint sensor at the back. Typical of budget releases, the Y71 sports a headphone jack and a microUSB port. The listing reveals the Vivo Y71 resembles the V7 minus the rear-mounted fingerprint sensor. 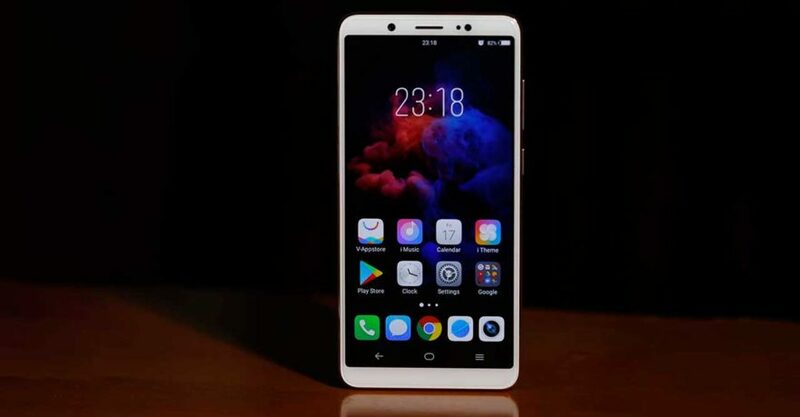 Possibly the successor to the Y69, the phone could cost less than P10,000 ($192) if and when it arrives in the Philippines. Internally, the Qualcomm Snapdragon 425 processor under the hood is paired with 3GB of RAM and 32GB of storage, and runs Android 8.1 Oreo. The sealed 3,285mAh battery should prove to be enough to get you through a full day of use. Elsewhere, you get a 5-megapixel selfie camera, while the primary camera is rated at 13 megapixels.